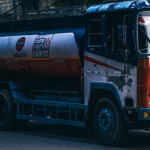 This 8-hour RCRA/Manifest Signers Refresher course is a review for personnel who oversee on-site management and coordinate of-site shipments of hazardous waste in Massachusetts. Attendees will receive instruction on Federal RCRA and Massachusetts hazardous and universal waste regulations. Attendees will also receive instruction on the U.S. Department of Transportation regulations for hazardous materials and waste shipments.